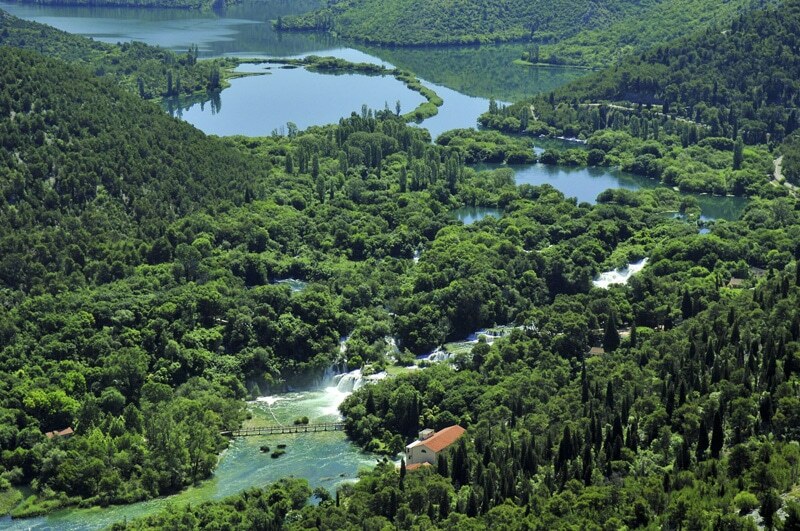 Krka National Park is a marvel of nature. 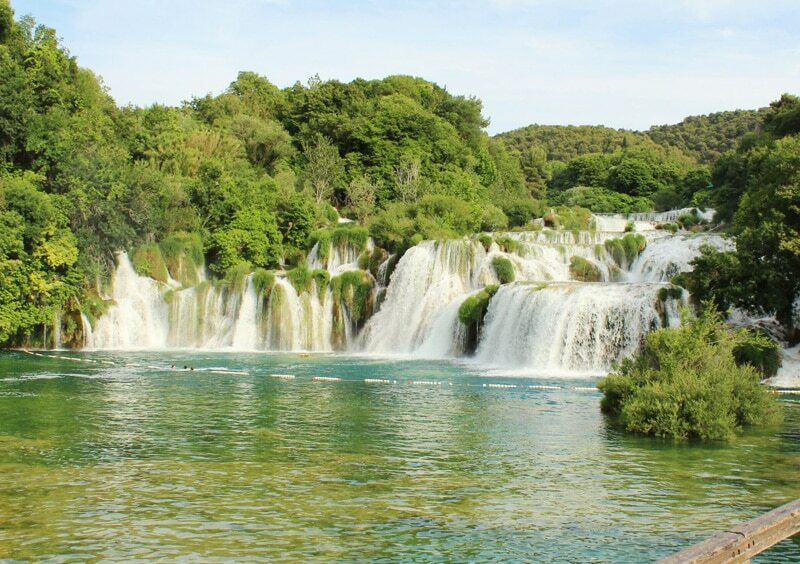 It is made of beautiful waterfalls surrounded by lush nature. 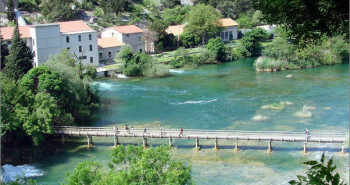 Krka National park is situated only 10 km from the center of Šibenik. 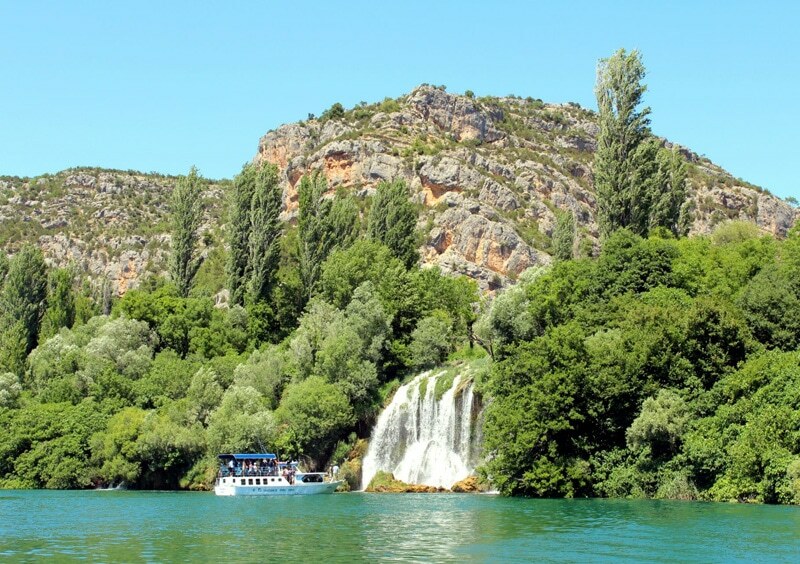 The park Krka consists of waterfalls that were created by the limestome sediments contained in the water and were deposited in a limestone barrier known as tufa or travertine along the Krka river. 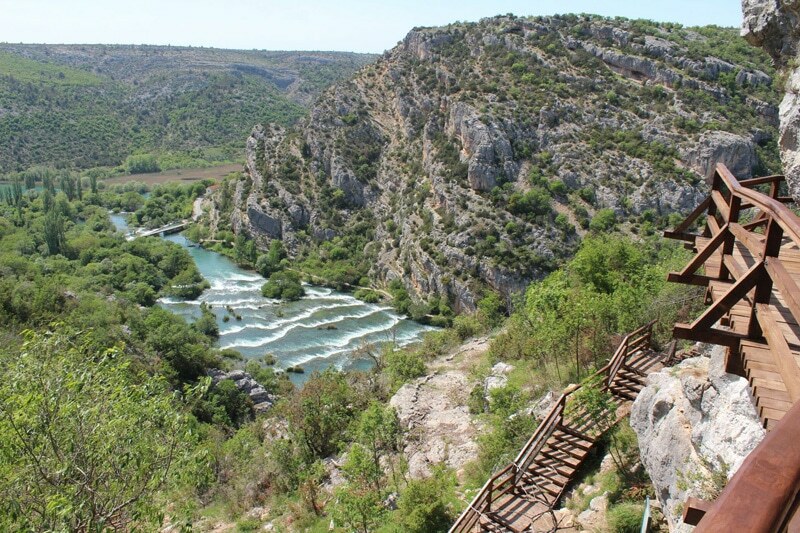 The flora around the river Krka consists of 860 plant species. 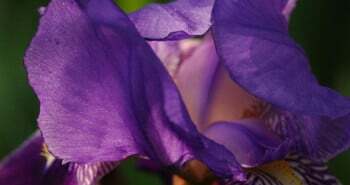 The fauna of the park consists of 20 species of fishes, 22 species of reptiles, 211 species of birds, 46 species of mammals and more. 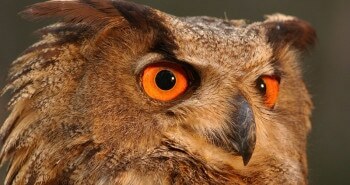 Let’s mention some animals present in the park: the brown trout, the otter, the golden eagle or the olm called ‘human fish’ that lives in the underground water of the park. 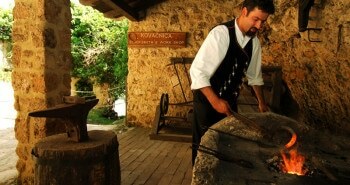 The park has two main entrances: one in Lozovac, the other one in Skradin. 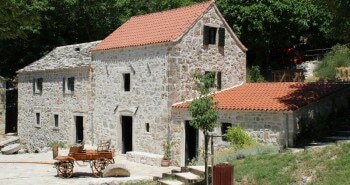 April to October you will have to park your car when you arrive in Lozovac and take the bus of the park that will take you to the waterfalls. The rest of the year you should be able to go to the waterfalls with your own vehicle. 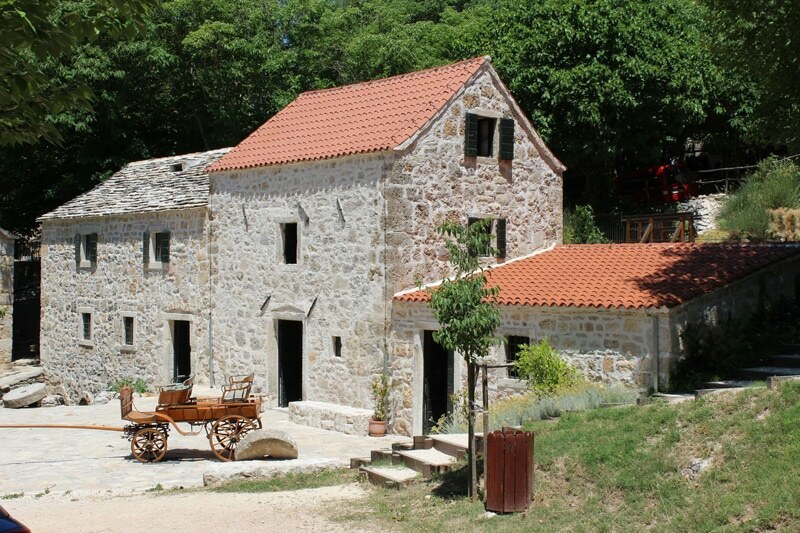 If you prefer you can also park your car in the parking in Lozovac and walk down 800 meters to the waterfalls, that’s about 10 minutes walk. Once in the park, follow the path that will take you around the waterfalls and the wooden footbridges that pass on the water. 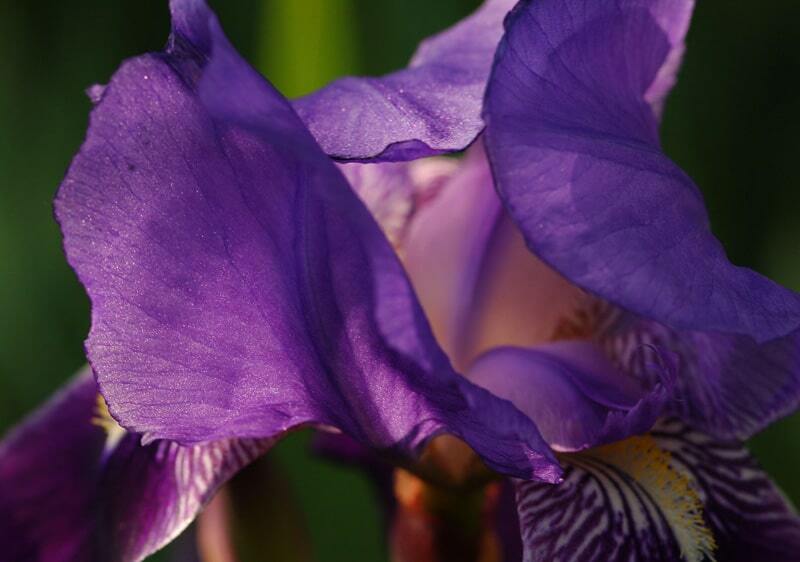 There is only one itinerary. 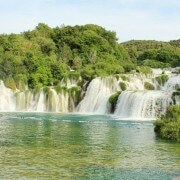 It will take you 1 hour to go around the waterfalls, including the time to take pictures. 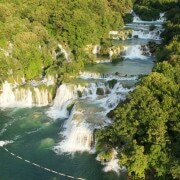 If you arrive from Skradin you will start the visit with the great waterfall ‘Skradisnki buk‘ where you can have a swim. 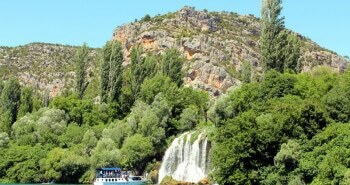 If you arrive from Lozovac you will finish the visit at this waterfall. 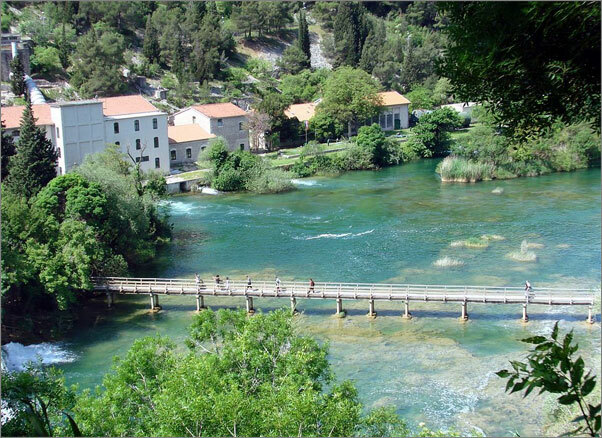 Once you have gone all around the waterfalls you can visit a small typical Dalmatian village with stone houses that is situated between the entrances of Skradin and Lozovac. 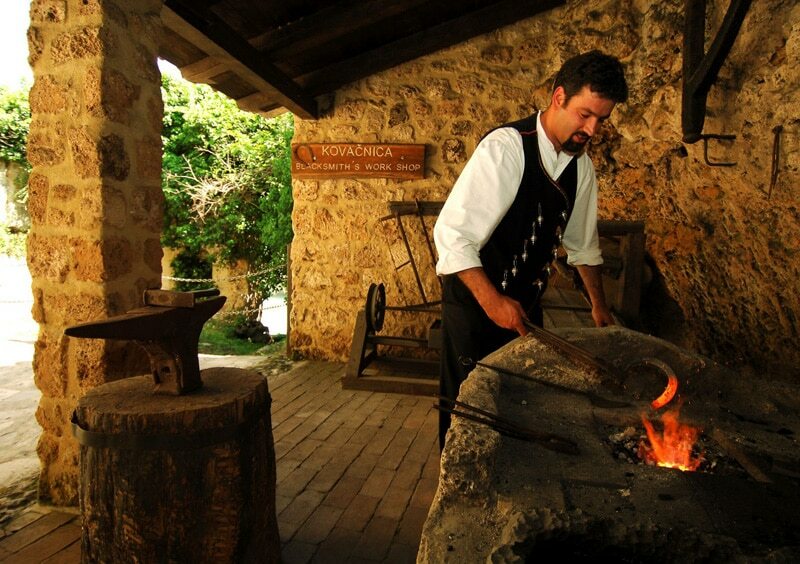 You will discover there a water mill, a typical house with objects of the region as well as a souvenir shop that sells gifts and postcards. 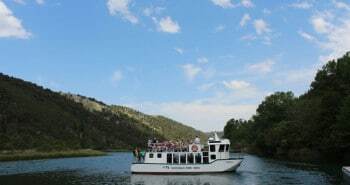 You will also find a restaurant there. 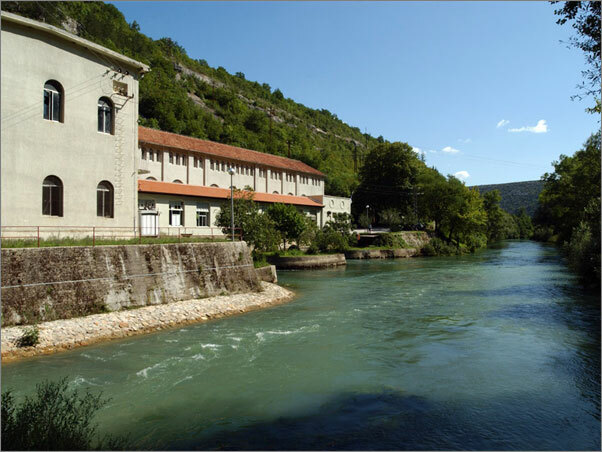 Krka Hydroelectric power plant was built and turned on in 1895, just two days after the first hydroelectric power plant in the world, created by Nikola Tesla at the Niagara Falls! 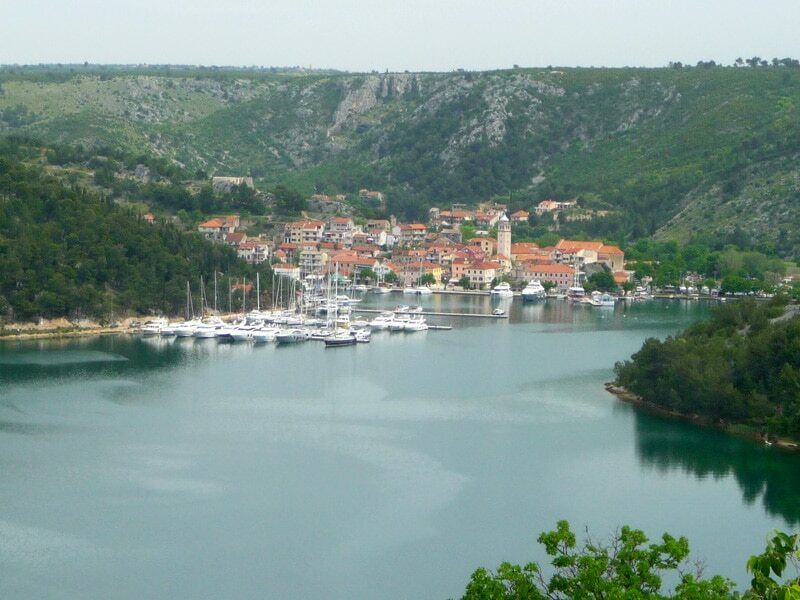 Thanks to the Mayor of Šibenik Ante Šupuk and the engineer Vjekoslav Meischner, Šibenik received electric lighting before many European cities such as Vienna, Budapest, Rome, London and many others. 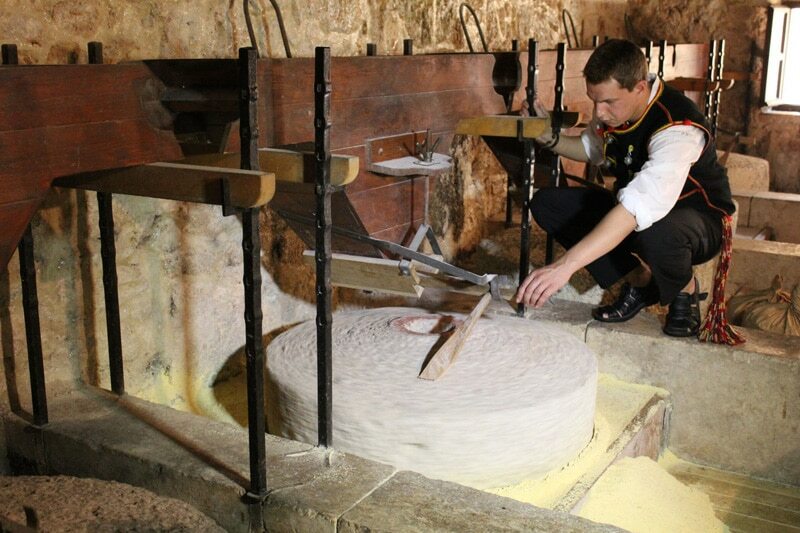 Ten years later Ante Šupuk built a second hydroelectric power plant called Jaruga, just a hundred meters downstream of the first one. 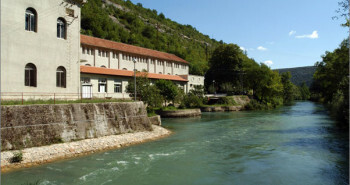 Some turbines were added in 1936, the factory is still working today. 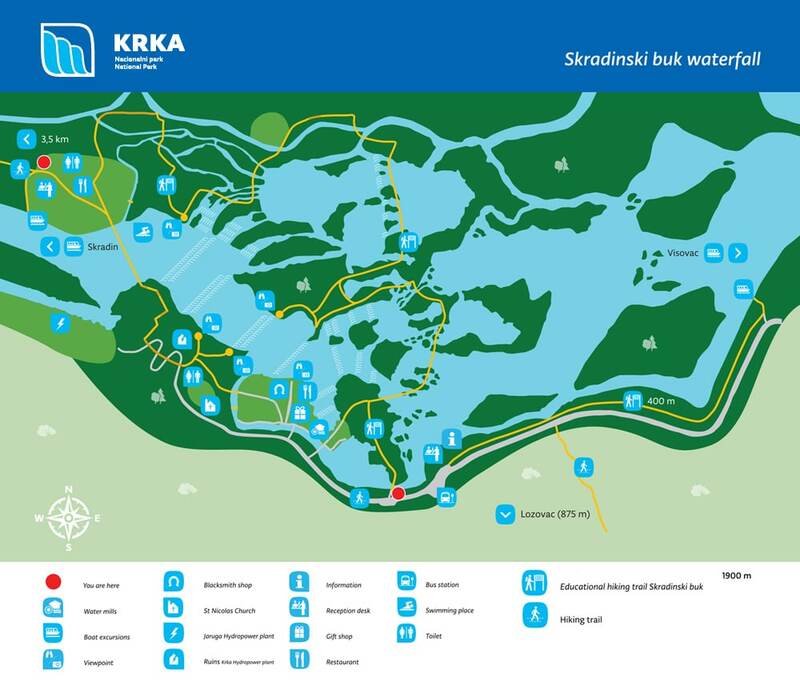 The first hydroelectric power plant of Krka is now being renovated in order to be presented to the visitors of Krka national park. 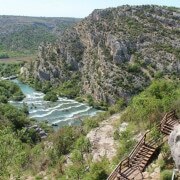 You will find the prices of the entrance to Krka Natioanl park at National Park Krka website. 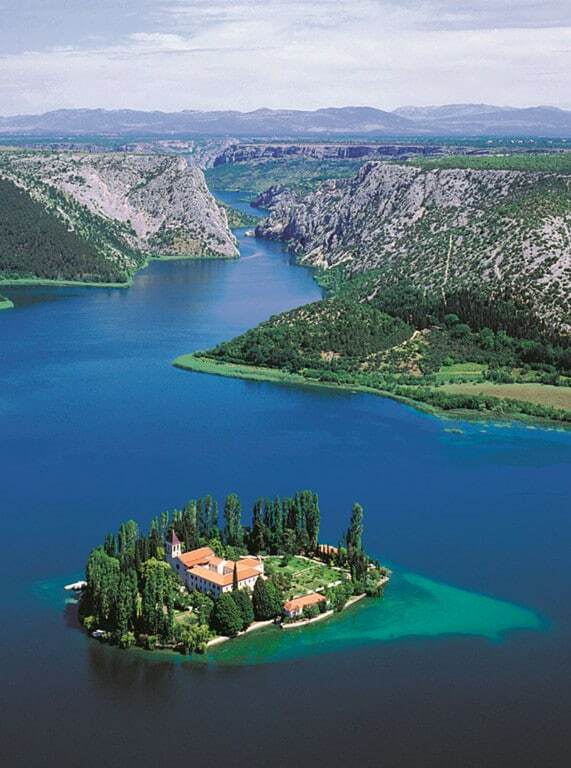 During your visit to Krka National Park you can make a boat trip to the island of Visovac. 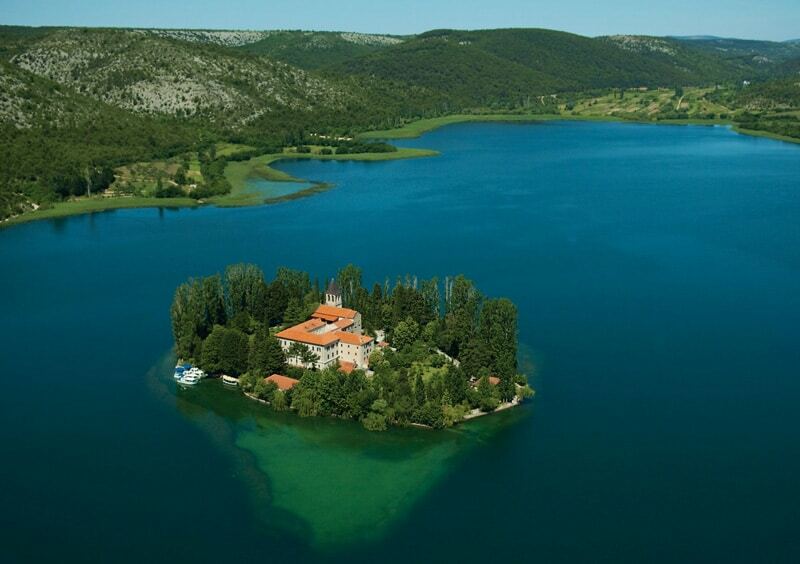 It is an islet with a Franciscan monastery from the 15th century. 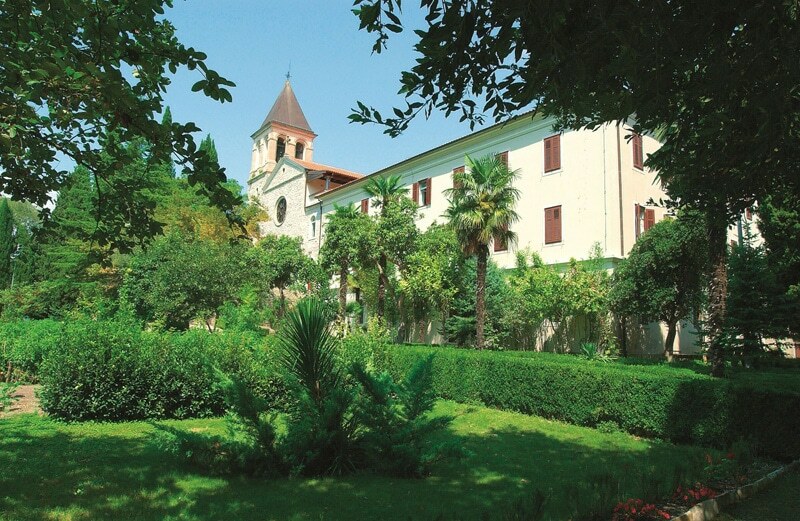 Monks still live there. 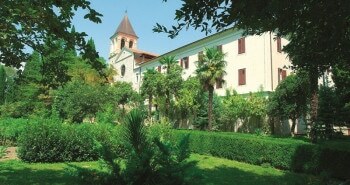 You can as well visit its museum that has a rich library with several historical manuscripts and rare books. 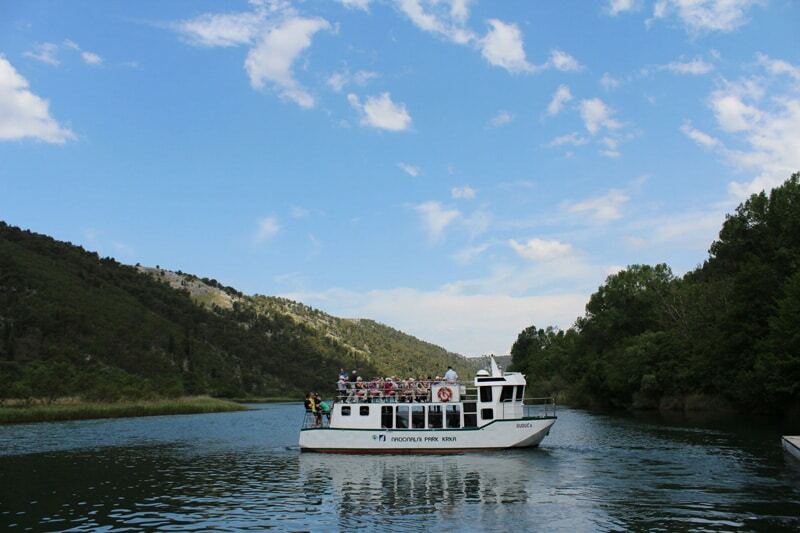 Take the boat from Lozovac entrance. 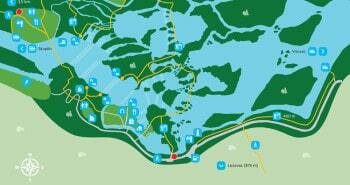 It will take you 2 hours for the tour including 45 mn to reach the island, 30 minutes of free time on the island, and 45 mn to come back. 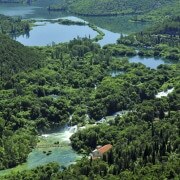 More information at National Park Krka website. 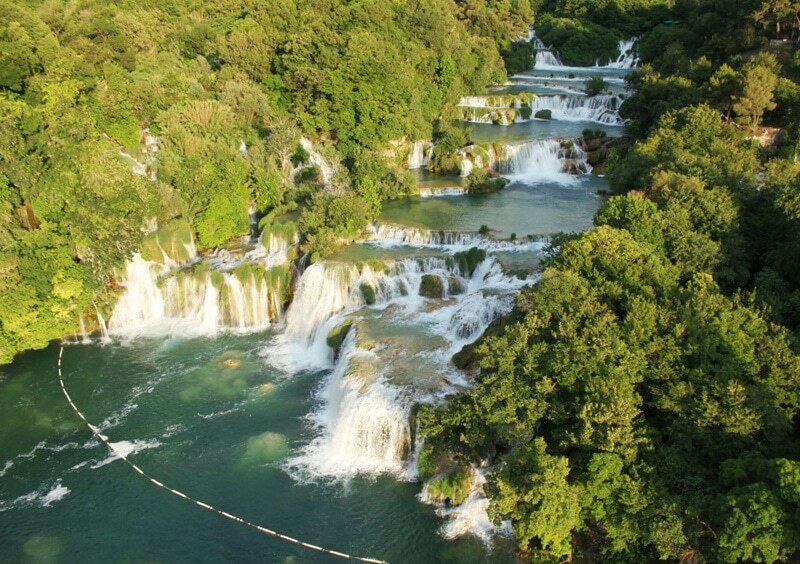 Once in the national park you can book an excursion to go to the Roški slap waterfall. 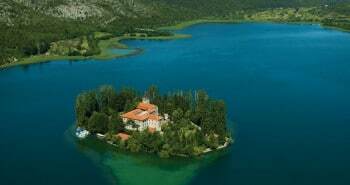 This visit takes 3h30: 1h00 to go to the waterfall, a 30 minutes break on the Visovac island, 1h00 at the waterfall and 1h00 to come back. 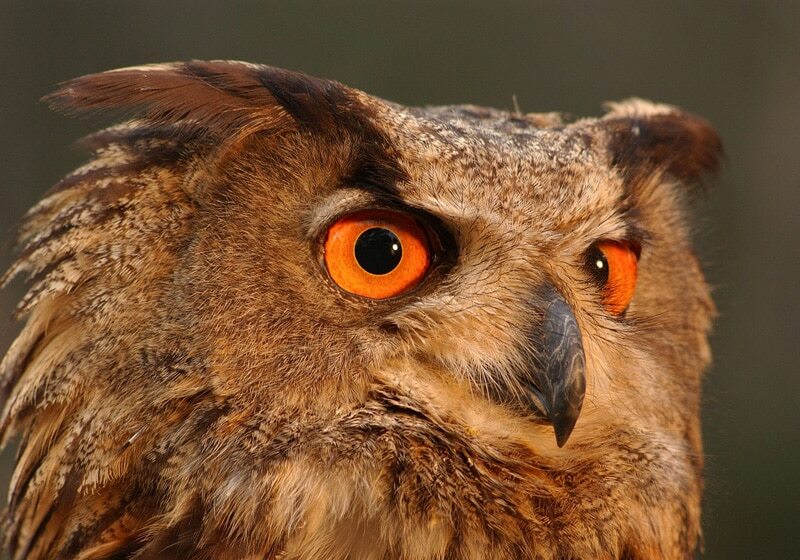 Book an apartment, a house or just a room in the vicinity of the national park. 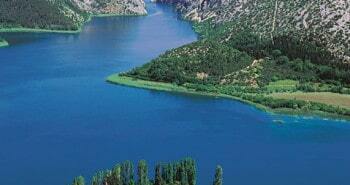 Great choice of hotels around the national park.